7229 Trumble Saint Clair, MI. 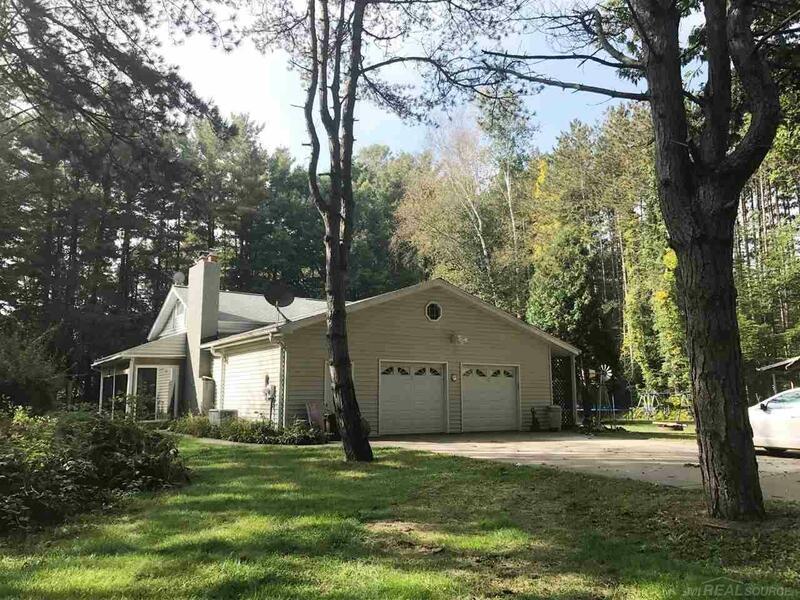 | MLS# 31331681 | Marine City and Algonac homes for sale,Westrick Real Estate One 810-765-8861, Marine City MI Homes,Real Estate Marine City MI,Homes for Sale Algonac,Algonac MI Agent, Home for sale St. Clair MI,St. Clair Homes for Sale,Property Marine City, Algonac Homes. St. Clair Township - Ponderosa Tree Farm. Several thousand ready to cut pines over 50 years old. Almost 9 acres with a expansive tri level home tucked away to boot. Home has many options: attached over sized two car garage leads to Newer Family, Room with fireplace and has a loft overhead. Family room level has an office area and there is a full bath.Office on ground floor with entry from side door. Six steps down to two bedrooms and two storage rooms. Main level has bath, two bedrooms, large kitchen, dining area, and living room. Small Green house area on the entry level. Expansive exterior deck/porch overlooking nature everywhere, lengthy 2+ acre lake attracts all sorts of wildlife and would make a great Bass or Trout Farm. Several outbuildings. This unique property is for the strong of heart.